My 4 year old daughter really likes helicopters and airplanes. 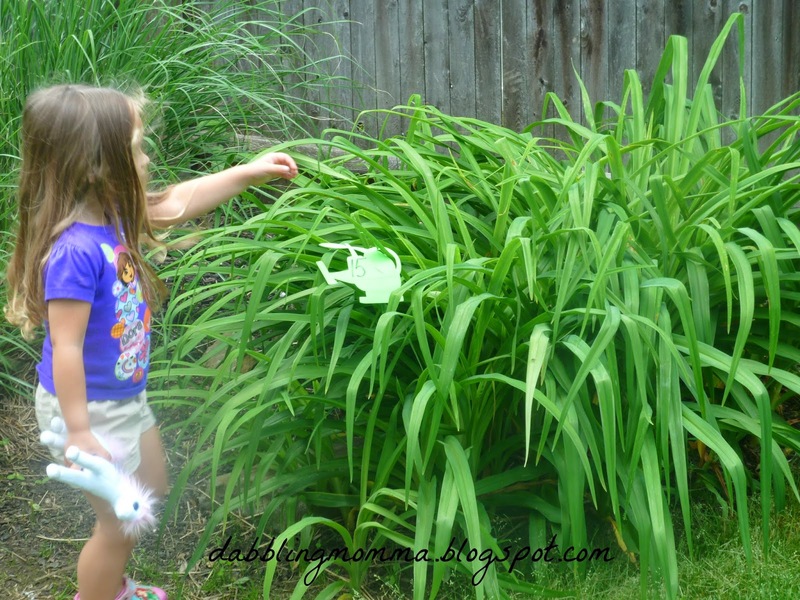 When I spotted these foam helicopters at the dollar store I grabbed them knowing I could use them for an activity. 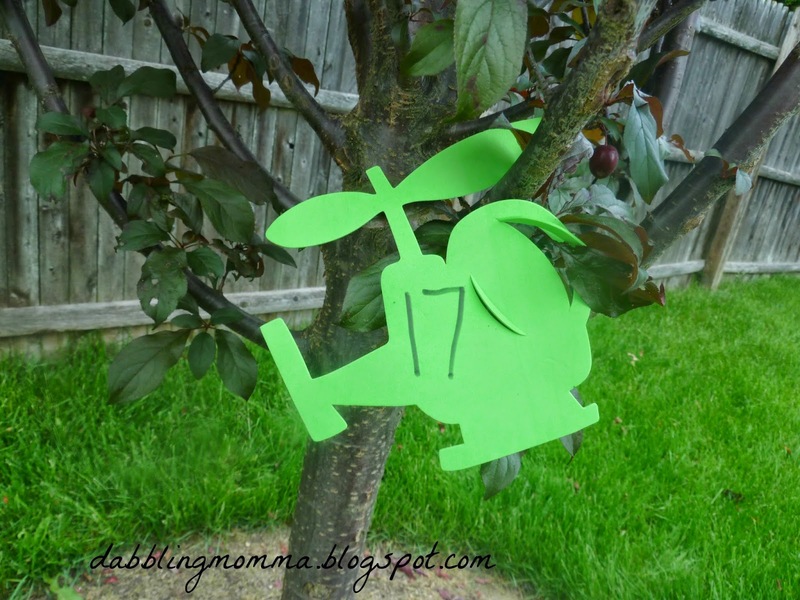 I came along a post from Learn Play Imagine called Alphabet Flower Hunt and that's what gave me the idea for our helicopter activity. Since Tiffany is in a good place with her letters I chose to make our helicopter hide and seek about double digit numbers instead of the alphabet. For this activity I only went up to number 20 but have plenty more helicopters left for another hunt once she is comfortable with identifying numbers 10-20. I numbered the helicopters and then hid them around our backyard. Once they were all hidden I announced to Tiffany that helicopters had made a landing in our yard and that she needed to find them. At first I asked Tiffany to find the numbers in order but she was too excited to find and quickly pick them that I changed my idea. Instead I just asked her to tell me what the number was that she found. To not overwhelm her I hid 1-10 first (just to get her comfortable with the hunt) 11-15 next and 16-20 last. Once all the numbers were collected is when she put them in numerical order. We did the same with the double digit numbers but I didn't snap the picture! This was a great activity to help reinforce Tiffany's numbers all while having fun finding and collecting! 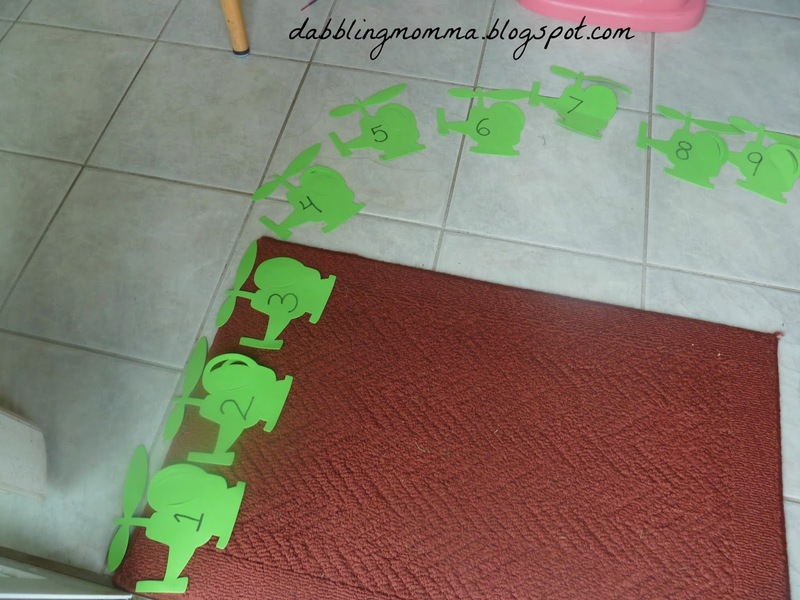 What ways do you help your child/ren with learning double digit numbers? Let me know in the comments below or by posting on our facebook page! This is such a fun idea! Pinning! 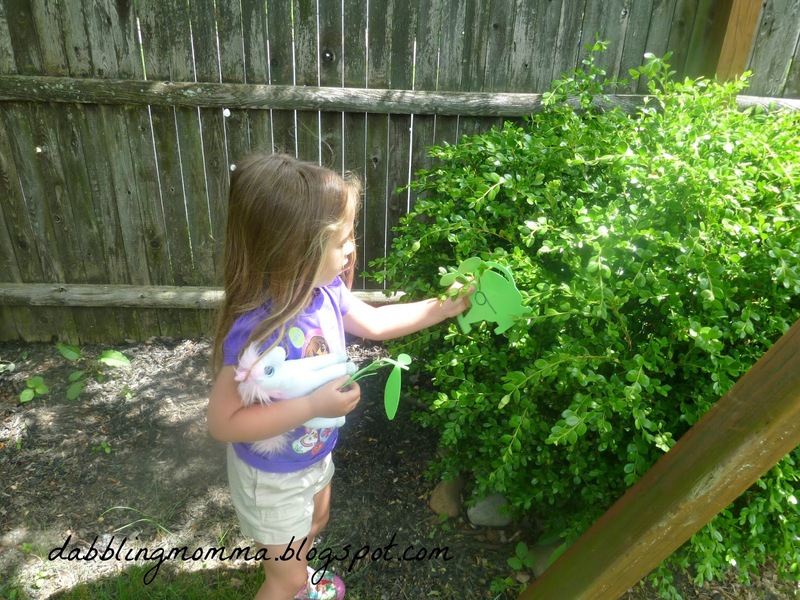 Thanks for linking this fun idea up at The Thoughtful Spot! I'll be pinning to share with others!